Chicago, Ill. - The NHL's Chicago Blackhawks announced today that they have recalled forward Vinnie Hinostroza from the Rockford IceHogs. Hinostroza, 22, has registered 6g-8a-14pts in 46 games with the Blackhawks this season. The Bartlett, Illinois, native has three multi-point games during the 2016-17 campaign with Chicago, which is tied for the most among Blackhawks rookies. 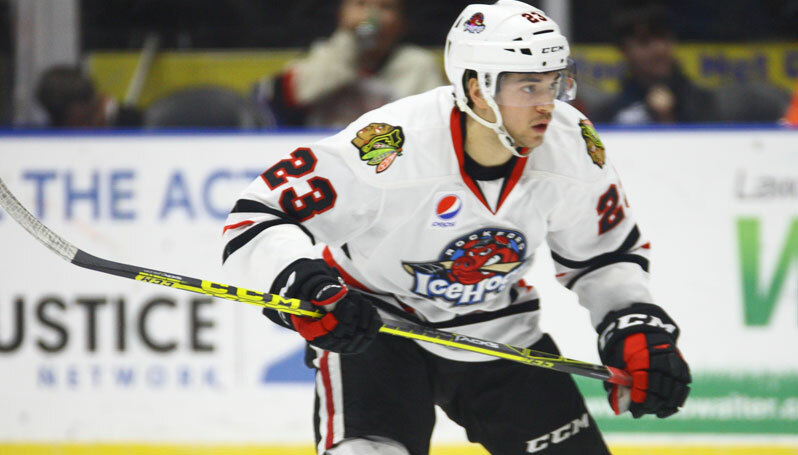 Hinostroza was assigned to the IceHogs on Feb. 12 and recorded one assist in three games with Rockford. Last season, Hinostroza became the first IceHogs rookie to lead the team in points and was also the first rookie in team history to earn 50 points in a season, finishing the year with 18g-33a-51pts in 66 games. Next Home Game: Tuesday, Feb. 28 vs. Manitoba Moose at 7 p.m. The IceHogs host the Moose for the final matchup between the two teams in the 2016-17 season. Tuesday is a Winning Weekday and a WXRX Dollar Day.